If a child is brought up without any outside influences but the word of God, what kind of child would he grow up to be? Gideon is one such child. Found by a single woman in an unused motel room, the baby boy seems to be nothing short of a miracle from the very beginning of his life. He is accompanied by a Bible, the Gideon Bible, hence his name. The inscription inside the Bible states: It's a gift. Jenny relishes the role of becoming little Gideon's mother. Perhaps focusing on this little life will help her regain her own. Jenny brings Gideon to her secluded family home atop Dora Manor Mountain. She is so grateful to have received this precious child that, like barren Hannah in the Bible, she promises to dedicate Gideon to God, and reads to Gideon from the Bible day and night. She hides him, keeping him away from the townsfolk, the same people who killed her family . . . over a church. As Gideon grows older, Jenny starts to realize just how special he is. 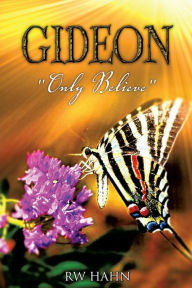 Gideon truly believes in the word of God, and becomes Christ-like in his ability to heal through his belief. It starts when he blesses the vegetable garden, which then produces huge, perfect fruit. Then when Scrappy the goat dies, Gideon blesses him, and the next thing Jenny knows, Scrappy is running through the yard, quite alive. Gideon knows he has a mission to fulfill. He needs to lead people to Jesus in order to save their souls. A gnarled hand. A blind eye. A club foot. A stutter. An unsaved man who dies and sees the gates of Hell, but Gideon brings him back so the man can live a purposeful life and go to Heaven when his time truly comes. As word gets out, Jenny realizes people are going to want to see Gideon, and she will have to share him with the world, starting with the very people she's been shielding him from, the townsfolk. When they finally do all converge on the mountain, it is through Gideon that they realize it's time to put away their differences, their prejudices, and accept each other-whether black or white. The story is told by a preacher who has run out of gas near a small church in the South. The congregation is expecting him; their late pastor told them on his deathbed that their new preacher would appear one day, having just run out of gas near the church. While the preacher has been speaking, another man has entered the church. He, too, is a pastor and he, too, has run out of gas near the church. He begins to preach, and the crowd goes wild with appreciation. This, surely, is the man they've been waiting for. Then he introduces himself: "I...killed...Gideon." RW Hahn was born and raised in Miami, Florida. He grew up in the inner-city and went to Miami Edison Sr. He graduated from Northwestern University in Radio/TV/Film with a Bachelor of Science degree. RW is an actor, director, and an award-winning screenwriter, as well. Get your copy of Gideon at Amazon, or as a download in Kindle. You may also visit RH Hahn at The Gideon Novel.